Hello, hello! I'm just stopping by really quickly today to say, Hello! I hope you all are doing well. If you live in the US I hope you are enjoying summer break. I had a few minutes to work with this awesome set called Always & Forever. 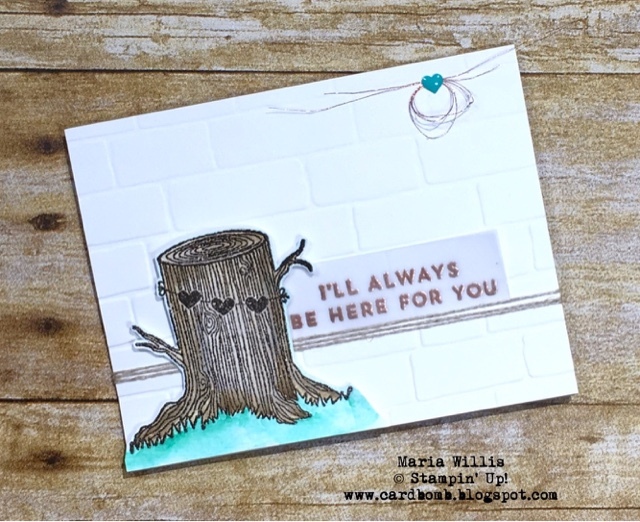 I love it because it's a fun alternative to most of the frilly, floral, feminine anniversary and love stamp sets that I see out there. It was also really fun to create this simple card with such a lovely set. 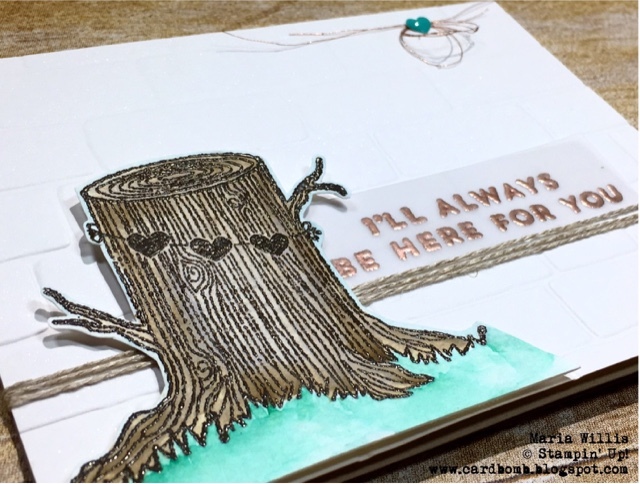 I heat embossed the tree image in Early Espresso and watercolored it with Early Espresso using my aqua painter. The grass was done with Emerald Envy and I love how vibrant it is. 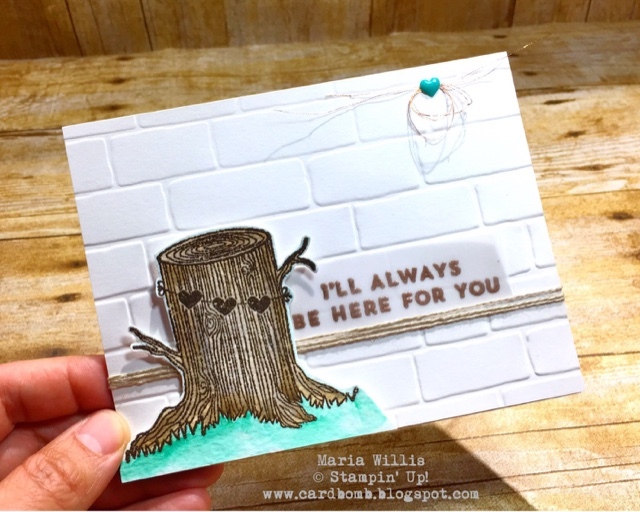 I went for a little bit of a rustic look with this card and added linen thread and a sentiment embossed in copper. I just love the little loops of metallic thread pinned up with the Bermuda Bay heart. Adorable. That's it for today folks! I'm off to go spend a little time with son.